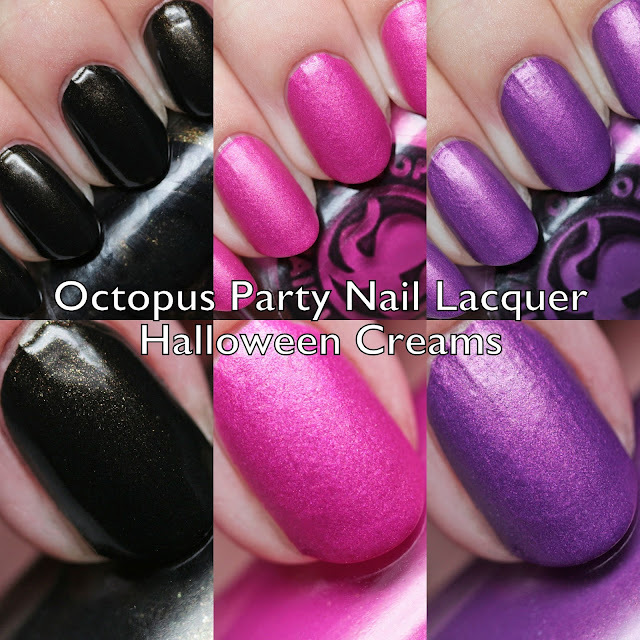 Octopus Party Nail Lacquer Caribou is a black with green-gold shimmer. I wore it in two thin coats but it will cover in one careful coat. 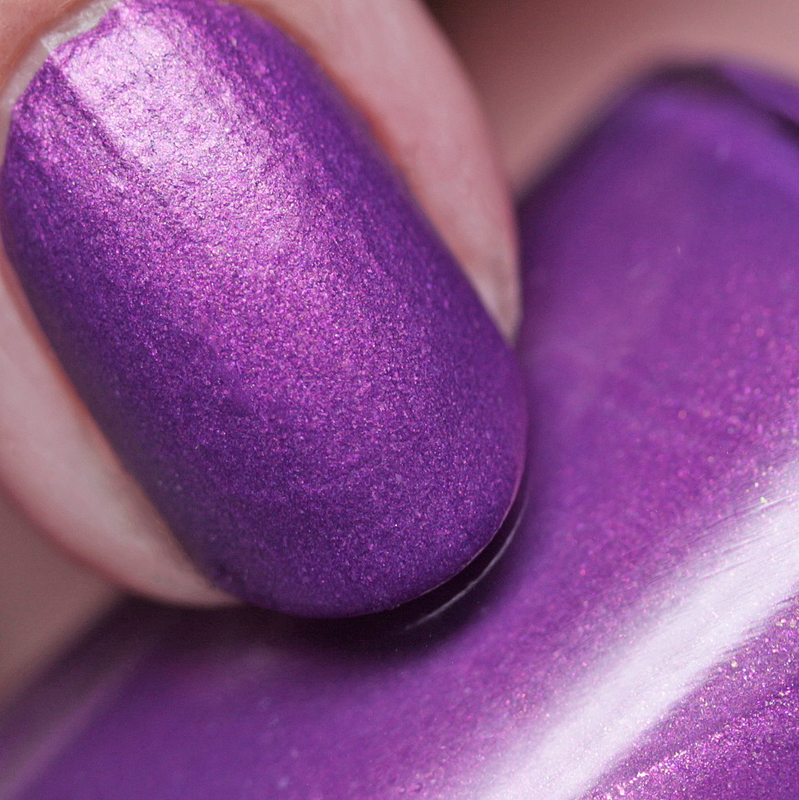 It dries with a semi-matte finish on its own but I am showing it here with top coat. Nice, quick-drying formula. 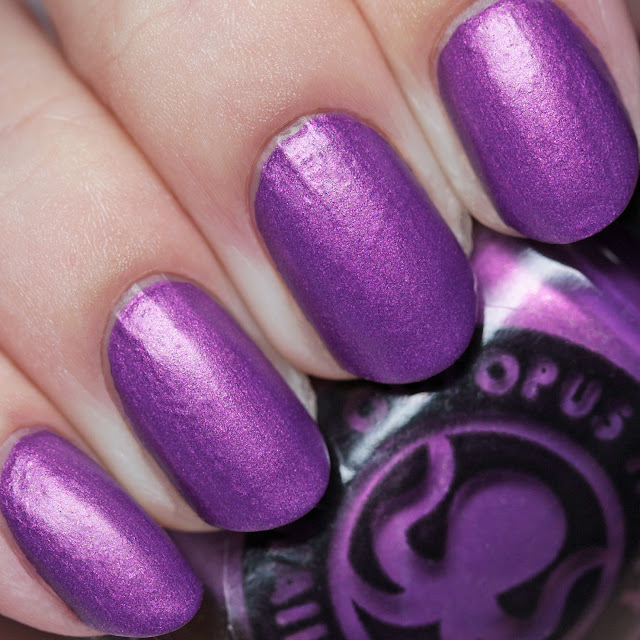 Octopus Party Nail Lacquer Debaser is a hot pink matte with gold shimmer. It is shown here in its natural matte state in two thin coats. Nice, medium-quick-drying formula. 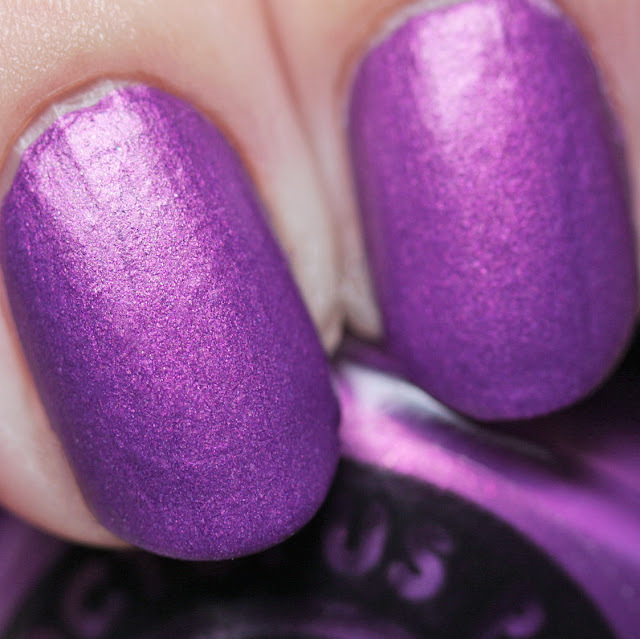 Octopus Party Nail Lacquer Velouria is a violet matte with gold shimmer, shown here in two thin coats, but one careful coat will cover. It is slightly thicker and more opaque than Debaser. It dries quickly. Each of these is available for preorder right now through Sunday in the Facebook group The Octosquad. They are priced at $11 each or $30 for the trio. This is a nice, solid group of matte shimmer-cremes and they are also opaque enough for nail art. Dave has pledged to bring us more cremes and shimmer cremes and he clearly ain't lying, so I can't wait to see what comes next in his special Octosquad group pre-orders!